Ghost Adventures an American televised paranormal series that's been airing for 10 years, with 15 seasons and counting, had its creator Zak Bagans, go the distance with developing a documentary based on what else, the paranormal activity of yet another case. 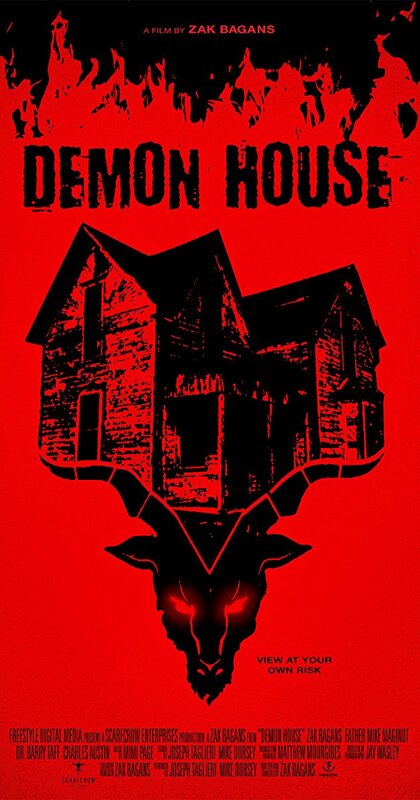 As the saying goes, with any TV turned into film, it is, just a longer episode, which is what his film the Demon House is really. Just a longer episode of an episode of the Ghost Adventures, except this film is a documentary, focusing upon more of another element than ghostly figures or beings, this involves demons and possession. 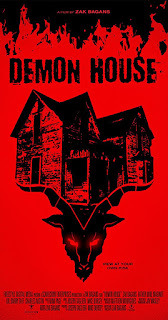 How Demon House is set up, is centered around the house in Gary, Indiana, in which Zak Bagans himself went on to purchase and own to this day. The film taking about 3 years to make, with various occurrences happening during production, investigations and then some in-between. During his discussions with numerous tenants to other witnesses' lots of stuff starts to happen, making this whole ordeal become really questionable yet undeniable that if it is real or false altogether. When it comes down to the film in general, it has a lot of suspense at times, moments at which you are on the edge of your seat, if not at least for the most part, just thinking about what is happening upon the screen at that moment. It has you just thinking about everything, even happening within your own life, that's how this film gets to you really. It makes you second guess, while adding goose bumps to keep your skin crawling yet you yourself aware yet scared too. Overall, it is a film that has it's pacing moments, but keeps you always wondering and questioning on if demon possession and the whole paranormal reality is in truths or in false of itself. As the tagline says "View at your own risk" or as Zak would say "This film is cursed" and it likely is for more reasons than just the oblivious one. It is surely a documentary film that will keep you wanting more to the story, or just more of the mystery behind the unknown.